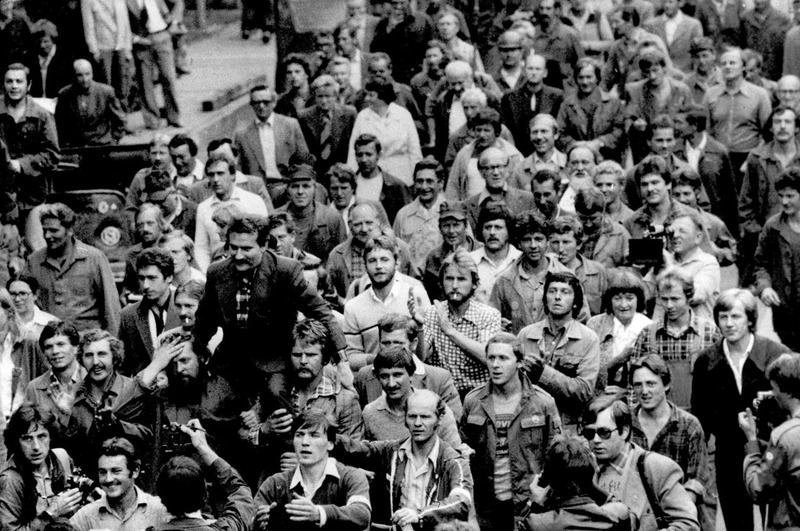 The work details the factors that led to a rank-and-file workers' movement in Poland that struggled to win a greater share of the surplus value being taken away from them by the state-capitalist ruling class of Poland and even, in some cases, forge new organizational forms for production and distribution. The issue of the imperialist rivalry between the "Western branch of capital" and the "Eastern branch of capital" (the Soviet Union) is also dealt with as it relates to Poland in this period. Finally, the work is also an outstanding analysis of the art of co-opting and mediation, detailing efforts by Lech Walesa, the leadership of Solidarity ("Solidarnosc", a trade union), and the Catholic Church to co-opt the rank-and-file movement and channel it into avenues less threatening to the ruling class so that these institutions could retain their privileged station in society. The work also opens up many questions about the future of capitalism itself, the problems facing the ruling class when capitalism falters, and the prospects for proletarian revolution. In general, the work is written from an historical materialist, marxist, council-communist perspective that utilizes firmly-grounded and well-explained state-capitalist theory. Originally published in English by Black & Red in 1985. OCRed for libcom.org by Linda Towlson. Translated by Lorraine Perlman. The original title of this work is: Pologne 1980-82, Lutte de Classes et Crise du Capital. It was published in 1982 by Spartacus, 5, rue Ste.-Croix de la Bretonnerie, 75004 Paris. The present translation of the French work contains a number of revisions and additions by the author. B & R expresses gratitude to Dumont Press Graphix, Kitchener, Ontario for making their typesetting equipment available. This book is amazing, I would recommend it to everyone. Done, with e-book formats as well. I couldn't check the epub, so if someone has a reader please let me know if it's alright! The epub file looks great in FBReader, no issues that I'm aware of. If I remeber correctly, this is the third in a series on events in Poland. I mean all by Simon. I am pretty sure one is about the events in 1970, and the other possibly about the events in 1956. I have read them, but it is over twenty years ago. While there are some important aspects to this book, I think it misses some relevant points and 30 years on, at least from Poland, there is a lot more information about how things tended to look at the base. I saw some of these things firsthand, some come from well-substantiated accounts. The first point is that there is a lack of deeper analysis of the rank-and-file itself. In my opinion, they tend to become a mythological object of discussion and there are tendencies to ascribe goals to them that they did not necessarily articulate. If one just thinks logically, one can understand that a mass movement like this is usually ideologically diverse. The ideology and goals ascribed to it thus are often the goals of its leaders or intellectuals speaking in its name. This includes historians of movements. Having lived through and participated in two periods of transformation (in Poland and Russia), I cannot say that there was not a significant part of the rank and file which represented anti-communist reaction and fought for the restitution of capitalism. The rank and file was always mixed in its aspirations. These aspirations were quickly coopted by the leadership, and the main reason this was possible was that the rank-and-file really was not self-organized and in charge of their own decisions, with its own clear program. This is obvious. What is lacking here is also the role of the CIA and the Soviets in playing behind the scenes. In my opinion and in the assessment of many of the original activists in Solidarity, this was significant and sealed the ability of certain individuals to take more control over the organization. Finally, there are the post-developments, which of course could not be imagined at the time of writing this. For example, you have Jacek Kuron's involvement in inviting Sachs to make economic plans for Poland and pushing the roadmap for neoliberal change while advocating the repression of strikes, etc. Or the well-known role of Adam Michnik as one of the main ideologues of neoliberalism (and anti-unionism) in Poland. .
OK, I'll stop ranting. It's a good booklet, catching a lot of important things but there's just more to the history. Thanks for those comments Akai. Can you recommend any texts in English which we could read alongside it to give more of the view on those things? Especially any first person accounts, that would be really fascinating. Have you ever written anything about your experiences over that time for example? No, unfortunately nothing in English. Texts are also very disperse in Polish, meaning critical texts tend to be shorter articles in magazines, usually on one aspect, not a global view. If we read enough of them and talk to people, you get a better view, but nobody I know of has put this together well. There are many critiques of Solidarity, mainly from workers from the first Solidarity who complain about how they were sold out, but few of these go deeper into the dynamics of the rank and file: usually they are descriptions of how the Solidarity leaders made deals. There are plenty of those but I don't know if any have been translated in English. I have a problem with sitting down and writing longer texts at this point in my life, due to too much work and activism. I more directly and actively lived through the transition period, would love to write something, but I am afraid it won't happen.